The Well Multi-Cultural Resource Centre – Page 3 – A friendly, drop-in service for the Multi-Cultural communities of SE Glasgow. 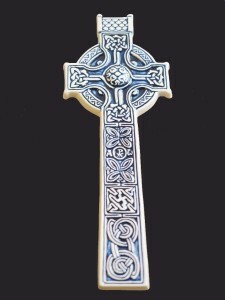 The Well Craft Group has been a fixture for many a year. This group for women only – sorry guys – has seen us have much fun together, as well as produce some lovely items for both personal use and selling over the years. Some women come to use the sewing machineswhile others prefer to learn some new craft activity. I felt very honoured to help one friend as she made clothes for herself and her family who were going on Hajj one year!! Last month we decided to make a little bit of a change – and to rename the group Chai & Chat. ‘Chai’ is tea as far as our South Asian, some Middle Eastern and our Slovak friends are concerned and is a seriously important component to socialising and relationship building. We are told regularly it’s the chance to get to know women from different parts of the world and different faith backgrounds that make this get together on a Tuesday afternoons (1-2.45pm) so enjoyable. The group is open to any woman, from any background. We nearly always have cake 🙂 and a craft activity of some sort to enjoy together. Please join us! We are delighted that the National Mission Team at Stonelaw Church (stonelawchurch.org) are hosting a Coffee Morning in support of The Well this coming Saturday 7th May. We’re looking forward to meeting some old friends – as well as making some new ones!! This is a great opportunity to catch up on the latest from The Well and meet some of the team who will be there on the morning! I’m sitting here feeling quite chuffed with myself because I have actually manged to access this blog page without having to ask anyone for help!! Throughout today well over 30 other individuals have come into The Well knowing that help and support is available for them too. There’s the woman who is looking for her own place to stay now that a firm job offer has been made. She makes good use of the computer suite as she would not be able to access the internet easily otherwise. She accepts a cup of tea happily when offered, and then gets back to work on the computer. A family want to clarify a couple of things on a form they need to complete. It’s a large document and lots of jargon needs to be deciphered. Their limited English means they are finding it a struggle. We are able to phone someone we know who can translate for us which makes all the difference. Yesterday afternoon a few of us got together over some samosa and tea. We had a useful discussion around how we might develop the women’s Craft Group. ( More about that soon!) Suffice it to say that over the following couple of hours craft activities for the next few weeks had been sorted – thanks Heather and Jan – and Gail had come up with a beautiful new design for an invitation postcard we will use as invitations to the group. It’s great when you know there’s someone or somewhere that you can turn to and find genuine support – and it’s the commitment of each of the Well team, combined with a diverse range of knowledge, skills and experience that makes so much of what we do on a day to day basis possible. Hello… See you later . . .
Hello and welcome to Gail. 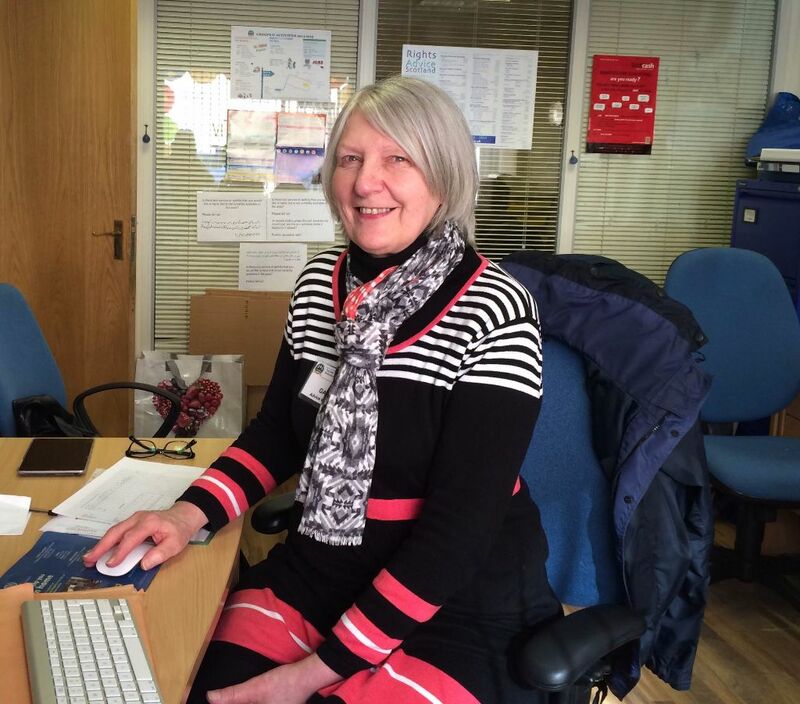 Gail has just completed 5 weeks training on fundraising and is keen to get started in her new job. Welcome to the team Gail! I have been the manager of The Well for 13½ years. (Surely that can’t be right!) In October last year the Board agreed that I should have a sabbatical this year. This has been arranged and I will finish in The Well on the 16th March and return on the 5th July. I will go to the Middle East and spend most of the time there. Whilst I am away Penny will be the acting manager and several of the volunteers have agreed to take on extra responsibilities. Posted byRhoda March 10, 2016 March 11, 2016 Posted inLife in The WellLeave a comment on Hello… See you later . . .
We have been privileged to have been friends with The Rt Rev Dr Angus Morrison – Moderator of the General Assembly of the Church of Scotland, for many years. We we re delighted when he contacted us at Christmas time and said he would love to visit. So we arranged for him and his wife Marion to visit The Well this morning. It was special have some of the local Church and Mosque leaders join with us for the visit. Just before 1 2.00, the door opened and a long time friend of The Well came. She wanted to share some good news with us and we were all able to rejoice with her that having waited for many years, she and her family could finally call Scotland home. 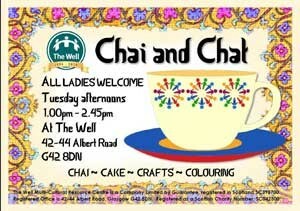 We went from The Well to the Grace & Flavour Cafe, part of the Queen’s Park Govanhill Parish Church building on Daisy St. 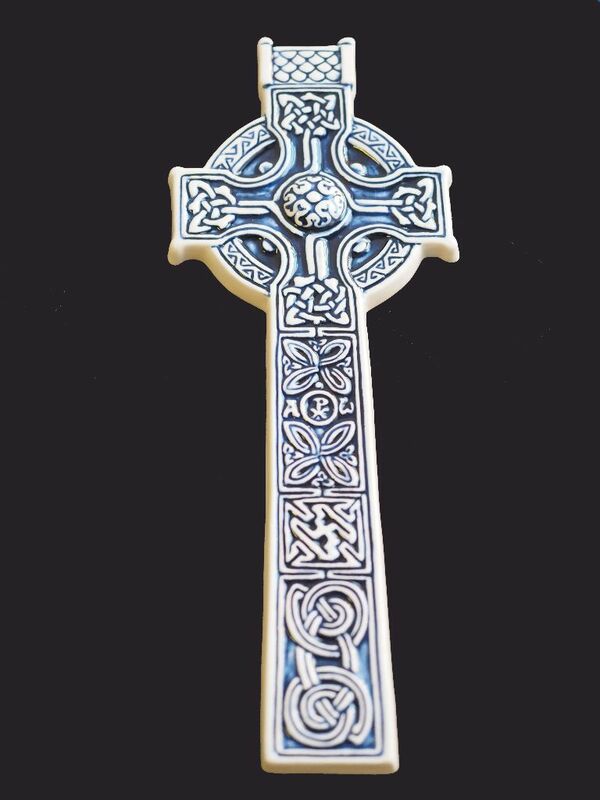 Thank you Angus & Marion for coming to visit, and for the lovely celtic cross you gave us – we look forward to finding the right place for it to hang with pride in the office. Sometimes I can hardly believe that it’s a year since The Well faced its toughest challenge to date, and yet here we are at the start of another year, having experienced God’s faithfulness and provision and your encouragement. My mum has a great expression “God hates waste, and He doesn’t waste anything.” This past year has certainly not been wasted as we have learnt afresh what it means to trust God. Our financial position is much healthier than it was a year ago, and whilst we will never be flush, at least we can make plans to continue developing the work. From April this year Penny MacLeod will take over as Depute Manager of The Well, she will continue her role in Bubbles – the Mother & Toddler group, and heading up the Craft group. But for a long time it has been obvious that The Well needs to have a second person to share the load of management. This change has created a vacancy for a fund raiser, and we are delighted that we have someone who is willing to be trained in this role. Once things are finalized I will give you more information. We are seeing a change in the demographics of those using The Well, most of our Slovakian service users have moved away, and now we are seeing more Romanians! We’ve not yet got the final stats for the year, but once again we are looking at around 970 service users across all activities, using The Well and other groups about 7500 times. I am very grateful that the Board agreed that I should have a Sabbatical this year, and so after my holidays at the end of March, I plan to be on sabbatical from 1st April until 30th June. I am hoping to be able to do some language and cultural study in the Middle East, providing I can get my visa! I would appreciate prayer for that! In our last news letter we introduced Ellen. For me it’s been thrilling to see how God has always provided the right person for us. When Margaret Menzies retired we had no idea how we would replace someone who fitted so well into the family here. God gave us Christine! Christine was very different to Margaret and brought a whole different set of skills, but equally fitted into our family very quickly. When Christine was returning to Australia, we once again thought “how are we going to replace Christine?” It’s obvious God has once again been a step ahead of us, and given us Ellen. Ellen is already very much at home here, and making the job her own. It just feels like the family keeps on growing. The English Classes are as busy and popular as ever, and once again God has provided great teachers. We do need someone to help out at our Craft Group on a Tuesday afternoon – maybe you know a woman who would like to be involved in that? As ever we are very grateful for your prayers and support which make this work possible. We are looking for a part time fundraiser to join the team here at The Well. This job will be mostly based at home, but we want someone who has a passion for the work that The Well does, and the community it serves. If you might be that person – or know that person, ask them to get in touch. We would hope the person will be in place by March 2016. We are delighted that we have once again been awarded Funding from BBC Children in Need for our Bubbles Mother & Toddler Group. Penny & Christine have been running it for the past few years, but since Christine is returning to Australia in January, we now have a vacancy for a Sessional Worker in Bubbles for up to 5 hours per week (term time.) If you might be interested in this position please email info@thewell.org.uk, marking for the attention of Penny. At the last Board Meeting it was agreed that we should appoint a Fundraiser for The Well. This will be a part time post (2 days per week), and the main work will be identifying and applying for trust funding – including reporting back to successful applications. The successful applicant will have flexible working times and be based both in The Well and from home. Interested? Please email info@thewell.org.uk and mark for the attention of Rhoda. Nothing in The Well ever stays the same for very long. About a month ago we welcomed Rachel, Jeff & Nicole to the volunteer team. The next week Alastair told us that he would be moving to England to be closer to his daughter. At the same time Christine confirmed that she and Brian would be returning to live in Australia in January 2016. (I’m sure it’s absolutely nothing to do with the weather here – they will be moving to the sunshine coast . 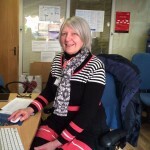 . . ) We will miss Christine so much – not just as our Admin Worker, but also for the work she does with Bubbles (our mother and toddler group) and our Craft group. Faye also finished in October and her baby boy – Aidan Mehrgan – was born on the 29th October. We will miss Faye very much – she covered a lot of shifts for us, and we wish her, Andrew and baby Aidan every blessing, as they settle into family life. Tonight for the first time we will be opening in the evenings – this pilot has come about as several people who work have said they would like to help out at The Well, but they work and can’t commit to during the day. We have no idea how this will go, but it’s good to have a team in place to try this out. Mrs F – a single parent – is facing homelessness. She falls between two different laws (benefits cap – that she can’t have more than a certain amount in benefits and the law that says she needs 4 bedrooms for her family – rarely available in social housing.) We discovered that she might be eligible for other help and have been working with her to see if this is possible. Mrs R has been coming to The Well for many years. We have journeyed with her through many difficulties. Recently when she came she looked like she was wearing a cloak of sadness. As she chatted with me, there was little I could say or do to help her – but I did ask her if I could pray with her, which she was happy to agree to. It’s been lovely watching the cloak disappearing over the past couple of weeks, and especially lovely last week to see her smile as shared some happy news with us. Mr A comes to The Well almost every day – he recently upgraded his phone and had no idea how to use it, so he came to The Well to ask us to show him! Mrs D brought a letter in today – she was really worried, as it was from Tax Credits and she had no clue what it said. It was lovely for Nicole to read the letter to her and tell her that it simply said that she was now to get tax credits for her new baby.